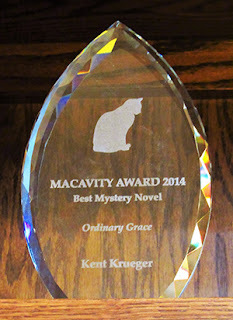 The 2017 Macavity Awards, named after TS Elliot, were awarded at Bouchercon this weekend by Janet Rudolph and Mystery Readers International. We have all the nominees and winners listed below. It's a great list of wonderful works to add to your TBR pile. Congratulations to all who were nominated.